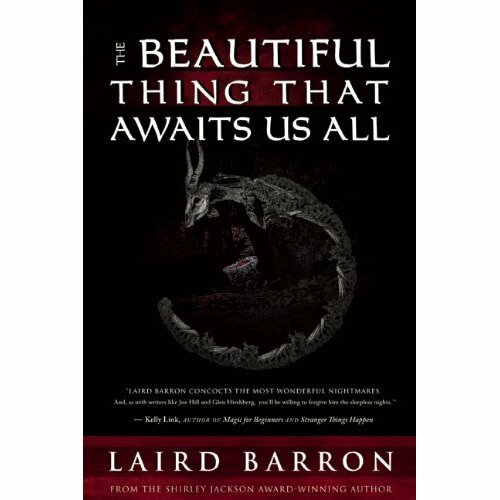 The Beautiful Thing That Awaits Us All by Laird Barron (Night Shade Books, 2013) starts with a particularly amusing introductory piece by another of my favourite authors. Norman Partridge subversively plays with the commission and introduces the author and this collection with obvious enthusiasm. This is a collection that forces me to think about why I so like fiction that sits on the divide between horror and fantasy. To understand, we have to revisit the impressionable young reader growing up in the 1950s. Early on, he discovered novels, collections and anthologies of Victorian and Edwardian horror stories. He found some of them scary. There were the merely unknown sources of danger like “The Horla” by Guy de Maupassant and “Whistle and I’ll Come to You, My Lad” as one of many by M R James. But it was writers like Bram Stoker with The Jewel of the Seven Stars and The Lady of the Shroud, and William Hope Hodgson with The House on the Borderland and the Carnacki stories that clinched the deal with their blends of the supernatural, fantasy and horror. I suppose I’m still reading in the hope of finding new texts to invoke that same sense of goose-pimpled wonder. Among the modern writers, Laird Barron is one of the few who can still hit the sweet spot for my tastes, infusing Lovecratian Mythos with modern sensibilities. “Blackwood’s Baby” was reprinted in The Best Horror of the Year: Volume Four edited by Ellen Datlow and is a wonderful example of how to use a hunt as a vehicle for suspense and excitement. Written in a pleasingly period style of prose, it begins by setting the scene and highlighting the differences in class that have so bedevilled our past as a species. Not content with finding distinctions in size, racial characteristics and gender, we had to go and invent an entirely new social classification system and assign people to its various grades. When men in a group are supposed to depend on each other for support and, if necessary, defence, the last thing you want are stresses and strains in the relationships. So when this group set off on the annual hunt for the fabled stag, we should not be surprised that not all will return. But the reason for each injury or death might be considered surprising unless the idea of an annual sacrifice to the woods and the creatures that live within is too weird for you to accept. “The Renfield Girls” switches genders as a different group goes off for a short break by a lake with an odd reputation. In theory, this is a more harmonious group of people who work together, but the dynamic is slightly thrown a curve ball by the unexpected arrival of a niece who adds one more to the number. Whereas the first story is more show and tell, this is an exercise in the manipulation of atmosphere. The lake itself, a little of its history and a few unsettling dreams are enough to start us off. What actually happens could just be accidents. People read too much into coincidences and talk themselves into believing all kinds of superstitious rubbish. It’s a very clever piece of writing. Then we have “Hand of Glory” which turns out to be a classic hitman story of a young man following in his father’s footsteps and making a name for himself as an enforcer and killer for a local gang boss. Everything would have been wonderful except for his lack of self-discipline which leads him in self-destructive directions. Then a couple of freelancers try to take him out. He’s sober enough to be able to defend himself but this is all a little too much for his boss. Things need to be set right. So our “hero” must deal with the man who ordered the hit. Even without the supernatural elements, this is a tremendous read. Add in a little black magic and general spookiness and you have an outstanding story. “The Carrion Gods in their Heaven” by Laird Barron describes the plight of a battered wife on the run with the emotional support of her lover. They take up residence in a remote cabin in the woods. Naturally, there are tales about an earlier occupant, but it’s only slowly the couple realise how believable old tales can be. This is a story firmly rooted in the reality of a fear so great and enduring that it destroys the self-confidence of the victim. The question it asks is whether flight or fight is better. The cabin can only be a temporary hiding place. Indeed, they may already have been discovered. So how far might one run if the opportunity presented itself? 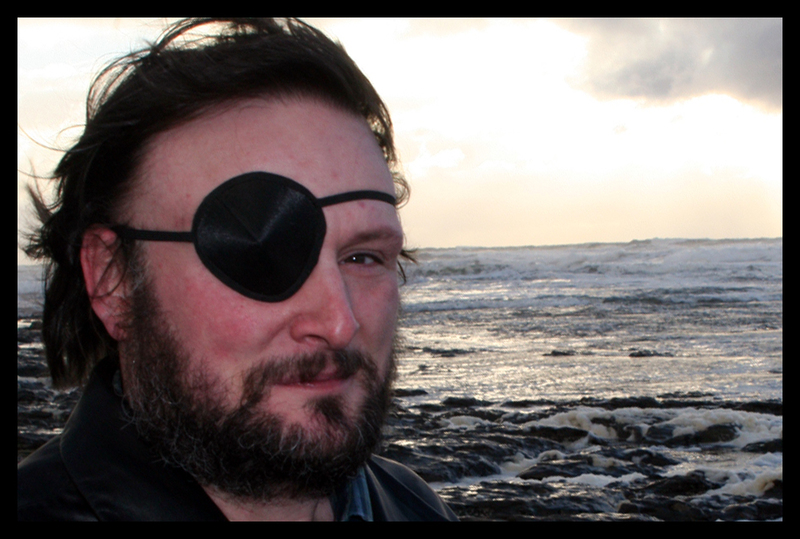 Laird Barron offers a nice answer because we can’t be entirely certain where the battered wife ends up. This first appeared in Supernatural Noir edited by Ellen Datlow. In “The Siphon” we get to ask whether psychopaths are merely human or have connections to creatures living in the cracks between the worlds. In this case, a man with secrets is eventually recruited by the NSA and finds himself at the centre of an operation to track a spy who might want to “come in from the cold”. Unfortunately, this spy is also of interest to other people of power which leads to some tension between the different groups and the sense our hero’s secrets may no longer be safe. This first appeared in Blood and Other Cravings edited by Ellen Datlow. “The Jaws of Saturn” takes us back to the same milieu as “Hand of Glory” with the same character manipulating people for his own purposes. This time, a hitman finds his girlfriend acting strangely and rashly decides to discuss the changes with the man apparently responsible. “Vastation” is a surreal jaunt through time as the only real human becomes, in his own way (if not only in his own mind) as ineradicable as the Old Ones. The question posed is existential. What would happen to a being who could transcend time and become whatever he wanted to be? Being godlike, it would be possible to make and unmake the world. But what would be the point? You could wipe out all the humans, then repopulate and watch them make the same mistakes all over again. It’s all potentially futile and not a little boring as the millennia pass. So why bother? Even the Old Ones spend their time sleeping, or go off and do other things, or simply exist without thinking about anything. Any of those might be better than hanging out on Earth with no real friends. Perhaps real cosmic horror is realising you’re alone and stuck with yourself so long as you can stand the pain. “The Men From Porlock” is playing the prequel game to “Mysterium Tremendum”, “The Broadsword” and The Croning, his first novel. All are set in or related to the Pacific Northwest as an area where events of cosmic significance are likely to occur. This takes us back to the time when the Slango logging camp was still functioning and in need of fresh meat. The small group sent out to shoot some of the game running through the forest encounters unexpected problems. In all things, who’s to say where the effects from the cause will stop? Finally “More Dark” plays the name-dropping metafictional game as an author discusses whether life’s worth living, particularly after witnessing a performance by another cultish horror author who never speaks in public but has a puppet to do it for him. Of course, the appearance of the puppet and what it has to say could be evidence of a cosmic intent to spread fear and disharmony, or it might just be an extravagant coup de théâtre designed to appeal to the horror cognoscenti. Let’s all take a shot at deciding which is true. Put all this together and Laird Barron offers a particularly diverse range of tone in The Beautiful Thing That Awaits Us All (to understand the significance of the title, you have to read “More Dark”). We have everything from “traditional” adventure style horror to more explicitly Lovecraftian cosmic horror and the occasional burst of slightly comic horror. It’s a terrific read for anyone who enjoys writing that sits on the cusp between fantasy and horror. This collection won the 2013 Bram Stoker Awards® for Superior Achievement in a Fiction Collection.